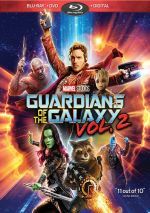 Even with its Marvel Cinematic Universe imprimatur, not many expected 2014’s Guardians of the Galaxy to become a mega-hit. After all, it stemmed from a fairly obscure comic series, and its August release date implied the studio didn’t view it as an “A”-list blockbuster. Nonetheless, Guardians performed like one, as it made $330 million in the US and became the year’s third-biggest hit. Inevitably, that led toward a sequel, and that showed up via 2017’s Guardians of the Galaxy Vol. 2. 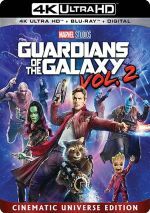 Now recognized as heroes, the Guardians of the Galaxy – Peter “Star Lord” Quill (Chris Pratt), Gamora (Zoe Saldana), Drax (Dave Bautista), Rocket (voiced by Bradley Cooper) and Baby Groot (voiced by Vin Diesel) – retrieve “Anulax Batteries” for their employers, a species called the Sovereign. 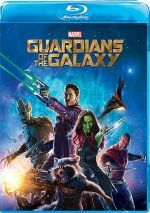 In return, the Guardians take possession of Nebula (Karen Gillan), a warrior with a bounty they intend to capture – and also Gamora’s very estranged sister. Not content with this prize, Rocket steals the batteries, and this means the Sovereign chase the Guardians with intent to kill. After the assault forces them to crashland, a being named Ego (Kurt Russell) rescues them. The kicker? Ego reveals himself to be a galactic immortal – and Peter’s biological father. This leads to complications related to Peter’s newfound bond with his pop as well as other interpersonal explorations among the other Guardians. As I noted when I reviewed it, I liked the first Guardians but didn’t love it. While it offered a fun time, I didn’t think it quite deserved all the rapturous praise it received at the time. That said, I wanted and hoped to really enjoy V2. As I often mention, movies forced to give us “origin stories” can become a little leaden because they need to spend so much time with shoe leather. With all that introductory exposition out of the way, the next chapter enjoys much more room to develop a good story. At its heart, V2 goes that way, as its main topic of the Peter/Ego relationship gives the film a solid core. However, writer/director James Gunn doesn’t know when to quit, so he ladles on a slew of competing plot points. In addition to the Peter/Ego tale, we get the conflicts between Gamora and Nebula. We also find a burgeoning connection between Drax and Ego’s assistant Mantis (Pom Klementieff), a collaborative rescue effort from Rocket and Peter’s one-time father figure Yondu (Michael Rooker), and the continued threat of the Sovereign. Even for a 133-minute movie, that seems like an awful lot of threads to tie together, and Gunn can’t do so in a particularly neat and tidy manner. The biggest issue comes from the fact it feels like we lose track of some characters for long periods, so we don’t invest in them as much as we should. The Peter/Ego relationship suffers most, partly because it’s the one that should take center stage. While Guardians comes across as an ensemble piece, Star Lord has always been the real focus. The first movie opened with Peter and showed actions largely from his POV, and in theory, that continues with V2. It traces the emotional journey that launched in the prior film and takes it into new directions. However, V2 seems to do so reluctantly, as it spreads itself so thin that we lose the depth we need from Peter’s path. Too much of the film takes us away from Peter/Ego, choices that sap that journey of some emotional vitality and heft. V2 also leans on its sense of humor a little too much. While I enjoy parts of the series’ snarky comedy, V2 relies too heavily on these components, and this means diminishing returns. The overuse of humor also affects the emotional journey. Too much of the time, V2 seems reluctant to embrace drama – it’ll throw out serious elements only to quickly undercut them with laughs. While the movie still comes with reasonable character impact, I’d prefer more confidence within its dramatic arc. Even with these criticisms, I still think V2 does more good than ill. The movie packs a ton of action, and it stages these scenes with verve and excitement. Even more than during the first flick, the battles seem dynamic and powerful. I wish V2 brought us a tighter, better fleshed-out tale, but I think it remains a likeable enough movie. Despite its messy story, it keeps us with it and maintains a good level of fun and excitement. Footnote: you shouldn’t need me to tell you to stick around through the movie’s end credits – but I’ll do so anyway. V2 includes multiple added clips, so stay tuned until the very end. Guardians of the Galaxy Vol. 2 appears in an aspect ratio of approximately 2.40:1 on this 4K UHD Disc. From start to finish, the movie looked terrific. Sharpness excelled. No signs of softness occurred, so I thought the film consistently displayed tight, precise visuals. No moiré effects or jagged edges appeared, and I witnessed no print flaws. To the surprise of no one, the film emphasized the usual orange and teal palette. That said, the movie came with a good array of other hues – such as gold for the Sovereign – so the orange/teal wasn’t oppressive. We got a nice blend of hues, all of which looked strong. Blacks were deep and firm, while shadows offered smooth, clear visuals. I felt wholly impressed by this stellar presentation. Just as good as the picture, the movie’s Dolby Armos soundtrack added a lot of pizzazz to the package. Downconverted to Dolby TrueHD 7.1, the action-packed soundscape enjoyed a slew of chances to come to life, and it did so well. Space battles and related elements filled the room and zoomed around the spectrum in a vivid, well-integrated manner. Everything connected together in a fluid manner that formed an engrossing circumstance. Audio quality also succeeded. Music was bold and full, while speech seemed concise and well-rendered. Effects appeared accurate and dynamic, with terrific low-end. I felt pleased with this exciting soundtrack. How does the 4K UHD disc compare to the standard Blu-ray? Audio shows more range and involvement, as the UHD platter delivers Dolby Atmos instead of the BD’s DTS-HD 7.1. As for visuals, definition seems a bit tighter, while colors appear more dynamic and blacks are deeper. As good as the BD looks, the 4K UHD works even better. This package includes a copy of that Blu-ray Disc, and that’s where we locate all the set’s extras. We open with an audio commentary from writer/director James Gunn. He presents a running, screen-specific look at story/character areas, cast and performances, sets, locations and production design, various effects, music, cinematography, and related areas. In other words, Gunn touches on pretty much all the subjects one wants/expects from a commentary, and he does so with gusto. Even when he indulges in some of the usual “happy talk”, he does so with such verve that I don’t mind. This becomes a lively and informative chat. We can watch the movie with or without an introduction from James Gunn. In this one-minute, 39-second clip, he gives us a quick preview for the film. It’s not especially informative but it’s also painless. Bonus Round: The Making of Guardians of the Galaxy Vol. 2 runs 37 minutes, 39 seconds and features Gunn, producer Kevin Feige, visual effects supervisor Christopher Townsend, executive producers Nikolas Korda, Victoria Alonso, Louis D’Esposito and Jonathan Schwartz, production designer Scott Chambliss, visual development supervisor Andy Park, visual development concept illustrator Anthony Francisco, property master Russell Bobbitt, and actors Bradley Cooper, Chris Pratt, Zoe Saldana, Dave Bautista, Michael Rooker, Sean Gunn, Kurt Russell, Karen Gillan, Pom Klementieff, Elizabeth Debecki, Vin Diesel and Chris Sullivan. 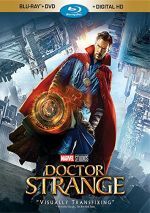 A collection of four featurettes, these cover Gunn’s approach to the material, music, various effects and visual design, and cast/performances. The clips vary in quality – with the music and effects parts best of the bunch – but they all add useful info. We also find a music video for “Guardians Inferno”. This three-minute, 35-second clip goes for a disco-era look and feel. It seems a little too self-conscious for its own good, but it provides some amusement. A Gag Reel fills three minutes, 41 seconds. It presents a pretty standard reel of silliness and accidents on the set. A few laughs result – mainly due to Sylvester Stallone’s inability to say “ravager” - but this becomes mostly forgettable fare. Four Deleted Scenes occupy a total of five minutes, four seconds. “Adolescent Groot Extended” (1:01), “Memorial to the War on Xandar” (1:19), “Kraglin and Quill Talk Tunes” (0:41) and “Mantis and Drax Feel the Sadness Extended” (2:03). Of these, “Groot” and “Tunes” are pure fun – they’re inconsequential but entertaining. “Memorial” largely fits the same category, as it offers a witty bit, but it also throws in some character material as well. “Sadness” becomes the most useful of the bunch – though not crucial, it brings out a little more depth to the Mantis/Drax relationship. The disc opens with an ad for Thor: Ragnarok. Sneak Peeks adds promos for the Guardians of the Galaxy; The Telltale Series and Marvel Vs; Capcom Infinite videogames.. No trailer for Vol. 2 appears here. Like its predecessor, Guardians of the Galaxy Vol. 2 offers a good but not great superhero tale. Though this one loses focus more often than I’d like, it comes with enough humor and action to make it enjoyable. The 4K UHD disc offers excellent picture and audio as well as a mix of supplements. V2 continues the franchise on a positive note, and this 4K UHD presentation dazzles.